MarieBelle Chocolates’ signature artisanal ganache, lavish truffles and tantalizing chocolate bars are promptly placed throughout to inspire the appetite for giving and eating this Winter season. Nestled at the back of the Soho store is the Cacao Bar which features a menu of desserts and pastries perfect for any tea time in addition to their exceptional hot chocolate drinks to enjoy this winter. MarieBelle New York is artfully wrapping and customizing luxury candy confections. Relish in the sweetest gift for any occasion, available in-store or delivered same day anywhere in the Manhattan area. New this 2019 are two equally delectable Panning Collections. MarieBelle chocolate balls are made from 100% Honduran cacao and are available in Goji Berries with Milk Chocolate, Matcha and White Chocolate Covered Almonds, Roasted Peanuts with Cinnamon and Milk Chocolate, Ruby Dark Chocolate Pistachios as well as a premium set of all four. Under the Cacao Market moniker, the Panning Collection chocolate balls includes: Dark Chocolate Almonds, Milk Chocolate Pistachios, Dark Chocolate Coffee Beans, Milk Chocolate Popcorn and Matcha Gree Tea Almonds. Crafted with the finest single-origin chocolate and eclectic ingredients, using artisanal techniques are MarieBelle’s signature Ganache. Specially made for your loved ones, or as a corporate gift, MarieBelle New York offers customizable chocolates with logos or any design you desire. The edible works of art can be elegantly constructed in bright red holiday boxes with vivid blue trimming and gold ribbon as part of the Holiday Box or in an elegant blue packaging with a brown bow as part of the classic Chocolate Box. The signature ganache collections also include the the New York set, River of Diamonds set, and other special totes, party favors and a limited-edition Ganache Cake using 65% dark chocolate. Like a miracle from your favorite movie, founder and CEO Maribel Lieberman has brought her sophisticated chocolate expressions around the globe with locations throughout New York, Japan and Dubai. Growing up on the cacao fields of Honduras, she has an intimate familiarity and knowledge of the process, production and business of cultivating authentic cacao. There is a pleasure and happiness found when indulging in chocolates, incomparable to any other candy or dessert, and Maribel has captured the true spirit of the holiday season with MarieBelle Chocolates. 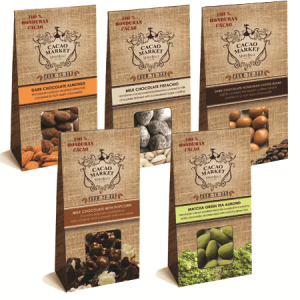 Woman-owned MarieBelle New York is a world-renowned luxurious global bean-to-bar chocolate company. The fine art edibles are produced in the Brooklyn factory with retail locations throughout New York City, Japan and Dubai. MarieBelle’s flagship store in New York’s famous Soho District offers chocolate lovers a sumptuous shopping experience. MarieBelle has a rustic-style Cacao Market in trendy Greenpoint, Brooklyn, and a new retail shoppe located in Midtown Manhattan’s stunning Japanese Kitano Hotel. 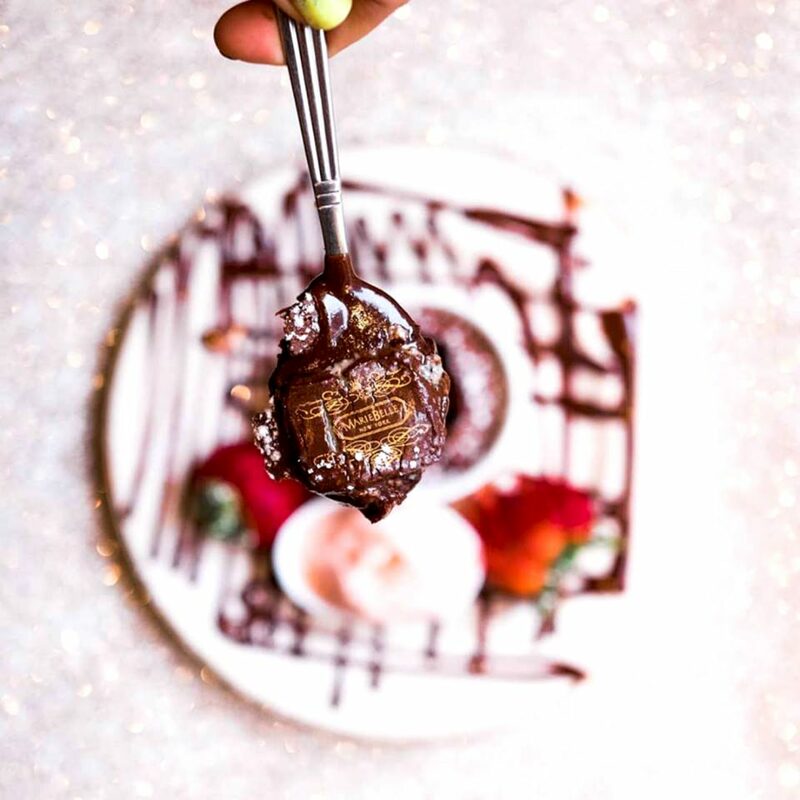 Each location pairs perfectly with the lavish and decadent chocolate designs. For almost two decades, MarieBelle New York has been tantalizing both the eyes and the palate with sophisticated chocolate expressions. Whether it is the signature, artisanal ganache, the lavish truffles and bars, or the incomparable Aztec Hot Chocolate (featured on Oprah’s Favorite Things) – the name MarieBelle is synonymous with everything that is refined, beautifully designed and decadent.